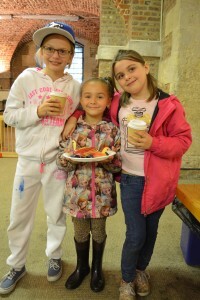 Throughout the six weeks of the school summer holidays our Summer Meals Scheme provided over 20 families with not only a much needed donation of food, but a fun event for the children, parents or carers to attend, as well as additional support and advice from Jo, our Project Worker and her team. During the summer holidays, many families in Tower Hamlets find themselves struggling to provide enough food every day without the provision of the free school meal their child would normally receive. Understandably this creates a lot of pressure and stress on the parents, on top of the struggle to find affordable activities to keep their children occupied. This is why our Summer Meals Scheme provided not only food support but also activities for the whole family. From the Paper Theatre in Story Week, to making smoothies in Healthy Eating Week, the children thoroughly enjoyed all the different activities provided for them. Our partners generously donated family tickets for the cinema and we were also able to arrange for families to visit the historic Tower of London. It was great to see a sense of community being built between the families as the weeks went on. The value in having someone to talk to who understands the challenges you face, cannot be underestimated. The families have expressed an interest in continuing to meet on a regular basis – we are currently exploring securing the support to take this work forward, building on the relationships that have been nurtured. We ended the summer with a big finale BBQ, with delicious food, outdoor games, a bouncy castle and those all-important Back-to-School Packs. Every school aged child received a Backpack with books, pencils, calculators and other equipment needed for the start of a new school year. 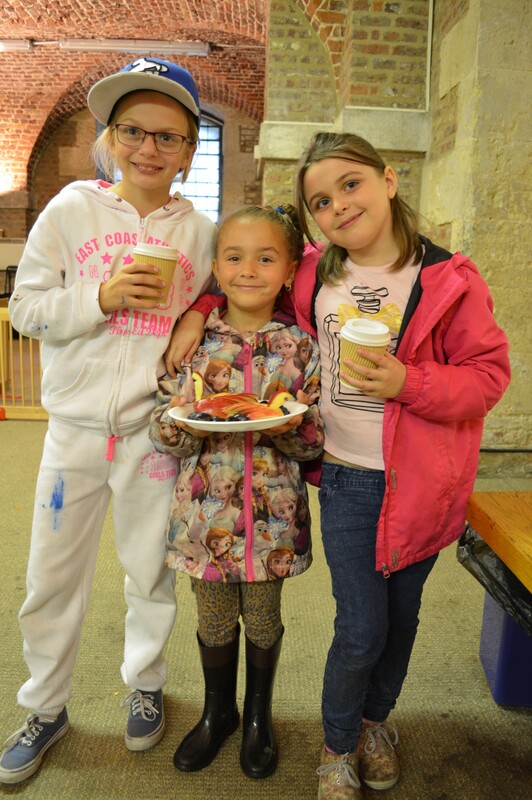 The success of the Summer Meals Scheme lies in the generosity of our supporters. Through the provision of a venue, activities, donations of food, back to school packs for children, gifts for families, right through to a listening ear and advice and support, none of this could have been achieved without their help. They helped provide not only a summer of fun, but also hope to families who otherwise would have gone without. St Anne’s Limehouse, The Chapel Royal St Peter ad Vincula, Tesco Bromley by Bow, East London Nursing Trust, Tower of London, Vanguard Asset Management, Norton Rose Fulbright, Financial Conduct Authority, Unilever and Sandwich Plus. 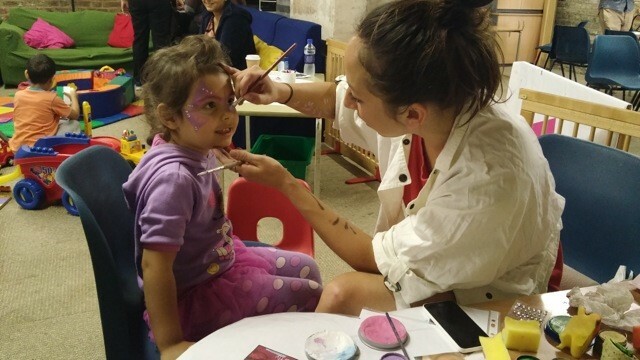 Sarah Peasgood (Paper Theatre), Rosie Mayhew & Michelle Leong (Face Painters), Wiltons Music Hall (Entertainers) and our amazing team of volunteers. We are now busy planning for this year’s Christmas Appeal – Love at Christmas. If you or your company would like to get involved, please get in touch. 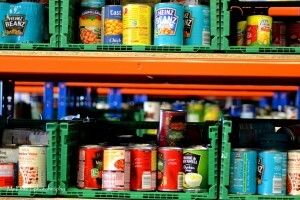 Our most needed Foodbank items! You can drop off donations to our warehouse in Poplar or we accept online supermarket deliveries direct to the warehouse. Please get in touch first, so we can make sure we’re there to meet you and accept your donation. 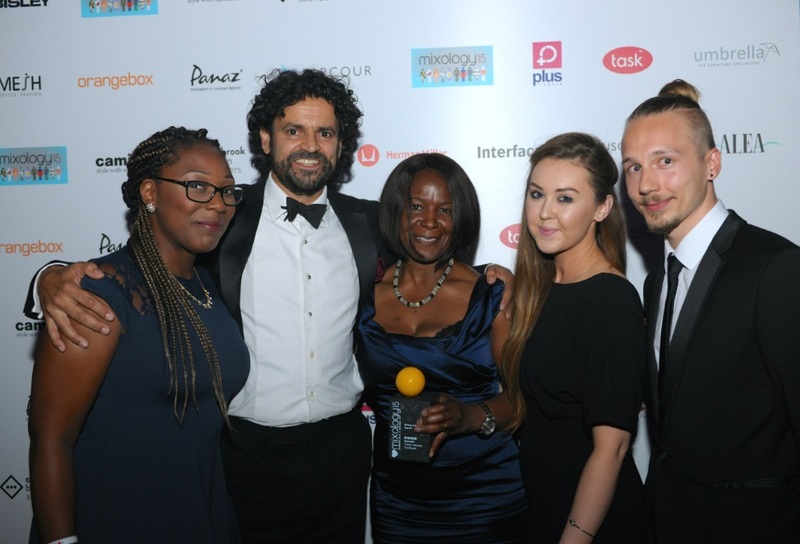 We would like to give a huge congratulations and thank you to Team Gensler for their recent Mix Interiors Award. First Love Foundation now has an award winning office! 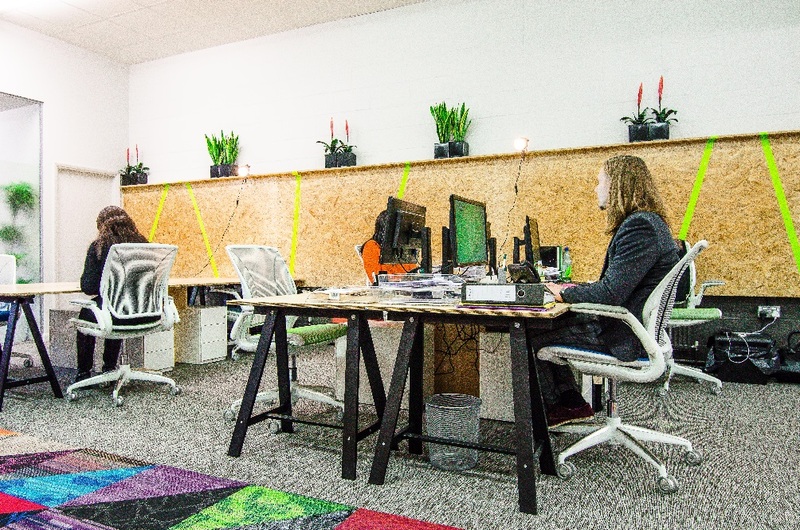 Back in July 2014 Workspace Group kindly offered us subsidized office space allowing enough room for our growing team. 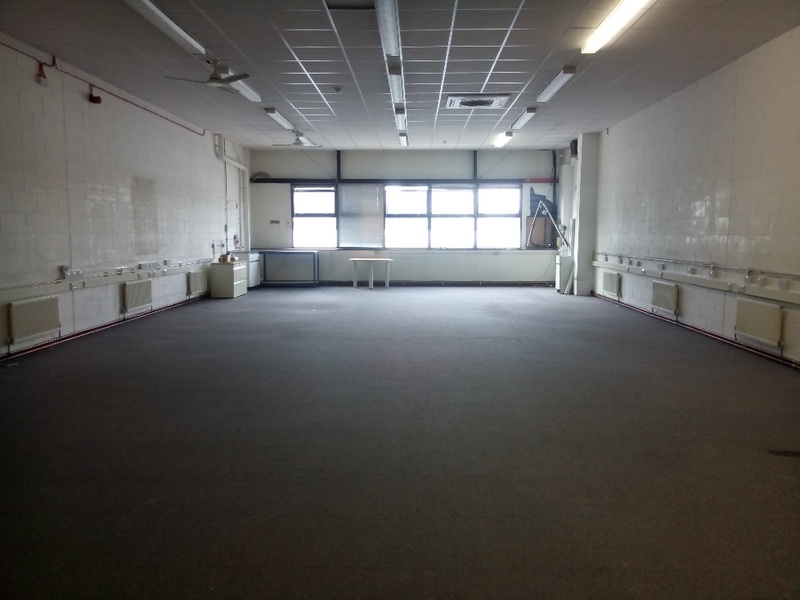 However, with no design budget to speak of we were at a loss as to how to transform an empty room into a functional office. Fortunately, the good folk at Gensler, through their GServe initiative, were able to help us out. Not only did they come up with an amazing design but they also got their suppliers to donate various items through their samples, surplus and upcycling. We were hoping for a functional workspace with enough tables and chairs for all the team and volunteers. What Gensler created was an energetic and vibrant office that also reflects the community values of First Love Foundation. 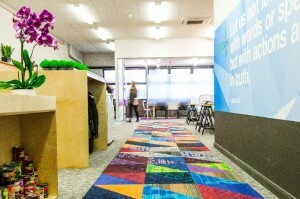 Even the carpet was donated by multiple manufacturers. This is not just a new office but the hub of all the planning and preparation that goes into keeping First Love Foundation and it’s projects running. Without the generousity of Gensler and the community of suppliers they inspired to contribute, we would not be able to help local people facing crisis. “When the design concept was first pitched to us we were so overwhelmed by the time, thought and inspiration that had gone into it already – we literally didn’t know what to say! Having no budget to work with, we were simply amazed at the support they were able to garner and also extremely humbled by the number of people and organisations that were willing to contribute. My team are motivated by their desire to help people facing crisis which can sometimes be a lonely and overwhelming task. Having a fun uplifting workplace that really does reflect who we are has not only inspired new creative ways of working – but has shown the team how supportive Gensler and their network are of our work to combat hidden hunger in Tower Hamlets.” Denise Bentley, CEO First Love Foundation. A few months later the project was nominated for a Mix Interiors award and won its category for Giving and Social Impact. 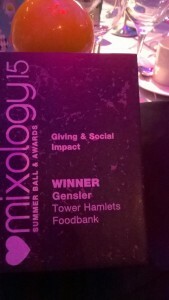 We are so pleased the hard work and commitment from the Gensler team to support the community around them was recognised. They even held a Bake Off style competition to raise some funds for additional items they needed to purchase! The creation of Firstlove HQ would not have been possible without the generosity and invaluable contributions of OD projects, Abbey Wood Flooring, Rox Dry Lining, H&S, PIP, Edge, MSK, Howard Bros Joinery, Olympiad Signs, Bisley, Co-Existence, Dulux, Carl Hansen, Mohawk Group, Quadrant carpets, TPS, Optima, Milliken, Interface, Muraspec, Humanscale, Brunner, Herman Miller and Hitch Myliusfor. To find out more about the project see Gensler’s blog. A group of students, parents and teachers from Bigland Green Primary School came to visit First Love HQ in July to hand deliver a very important package. Over the past few years, the students at Bigland Green Primary School have raised money for local charities through monthly non-school uniform days. “This year we have chosen to donate towards the wonderful work you do at the Foodbank” said Azzam Khan, the school’s Parent Involvement Officer. 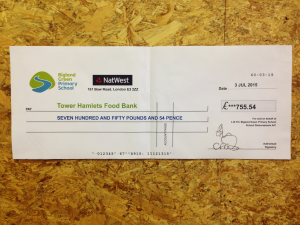 We were overwhelmed when they handed us a cheque for £755.54! The students visited as part of their CanHelp week, which is when the school helps local charitable causes. Our Warehouse Supervisor, Barney, took them a tour of the warehouse and then our Foodbank Coordinator, Sophie, gave a short presentation about fairness and inequality in Tower Hamlets and beyond. The students discussed what is fair and unfair and how great it is that the Tower Hamlets community wants to share with those who have less. The parents and teachers were also amazed to find out that our volunteers are all from the local community. 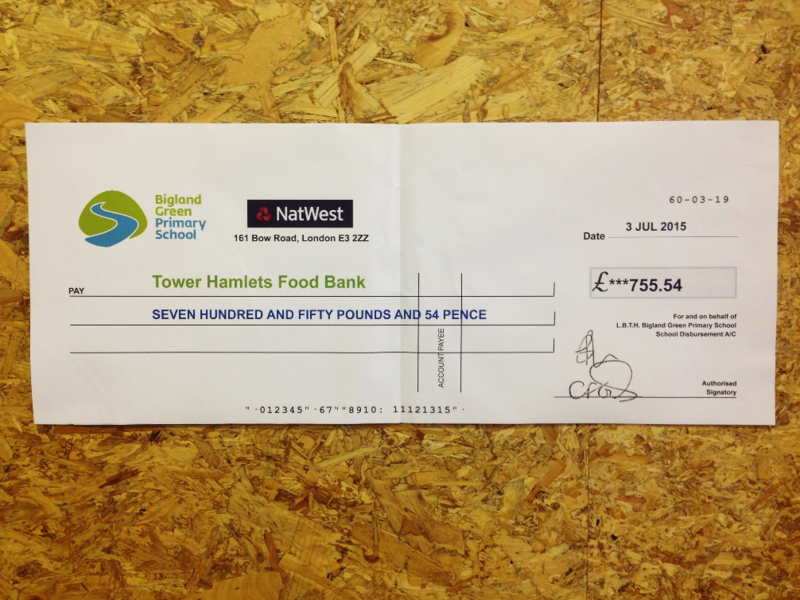 We’d like to say a huge thank you to Bigland Green Primary School for their donation and support. 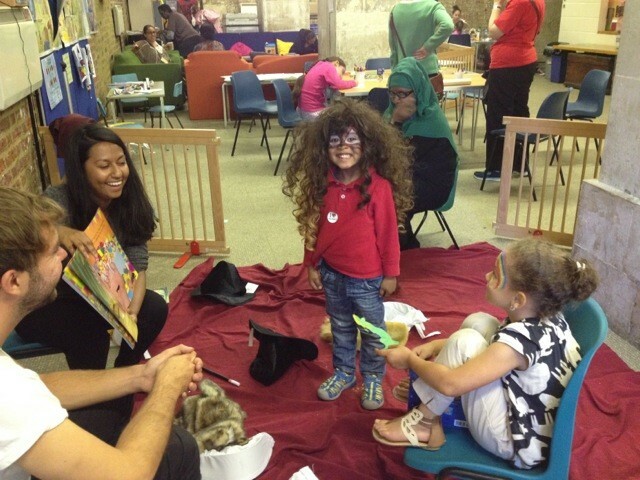 Whilst the school summer holiday can for some mean sandy beaches and lots of sunshine, for many families in Tower Hamlets it can be a challenging time. Given the high levels of Child Poverty in Tower Hamlets, living below the breadline often means the free school meal is the only meal of the day. Without this much needed support during the summer holidays, some parents have to go without food to be able to provide for their children. At First Love Foundation, we run a Summer School Meal Scheme over the summer holidays. Just over thirty families nominated by local care professionals are offered food support and an opportunity to see our Project Worker as well as access to other services. 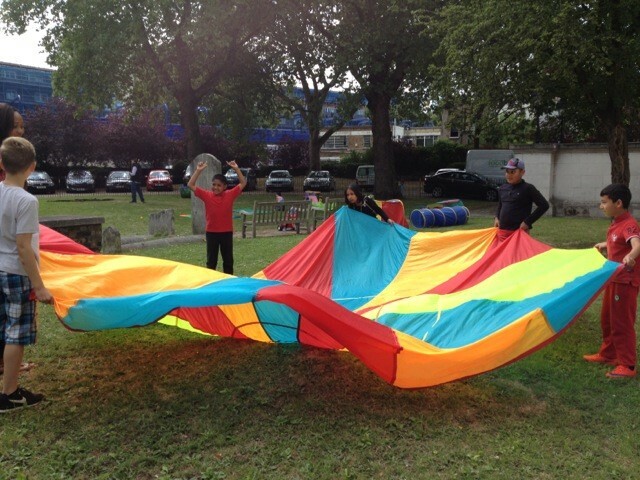 Fun activities and games are laid on for the children. This is all to ensure local families who are struggling during a challenging time are able to access the help they need and provide for their children. If you would like to support families struggling during the summer holidays you can donate here.